Ever miss being a child, playing games at your grandma's or in your old bedroom? Well, I got you covered! You can play the Demo now, for free. And, if you like it, please consider purchasing the full game. You'll receive all Early Access builds and the final version of the game, including a Steam key. I'm a solo indie developer, I loved making The Adventures of Elena Temple and I hope you enjoy it! Please leave me some feedback if you play it. Thank you for your support! Game Guide: "Nostalgics, you cannot miss this return to another era!" 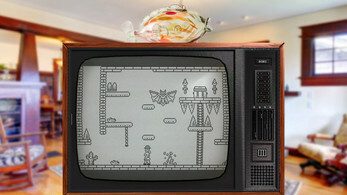 Le Mag MO5.com: "[The] developer GrimTalin has pushed the nostalgic aspect a a little further [...] the charm of the children's room or grandma's salon works"
RetroManiac: "[...] from the start The Adventures of Elena Temple appeals to the nostalgia of users and fans with a few years behind them. [...] The truth is that everything is magnificently decorated." 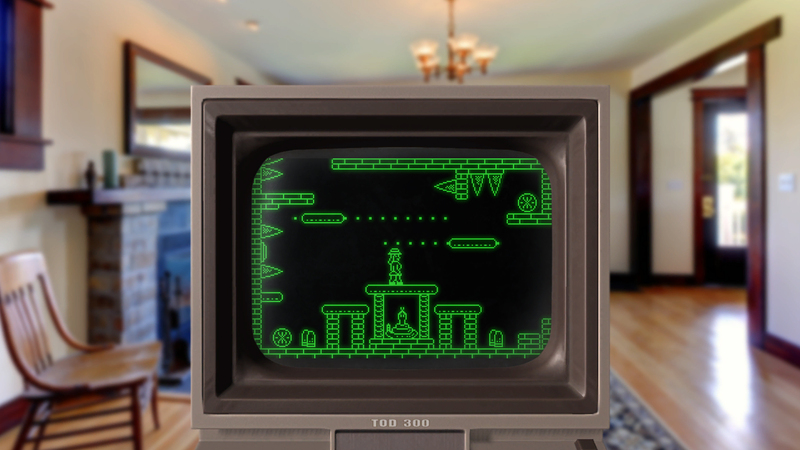 Pond's Press: "[...] if you are into that old 8-bit nostalgia, you’ll find plenty of reasons to have a great time with The Adventures of Elena Temple!" all 7 old machines available for you to play on! 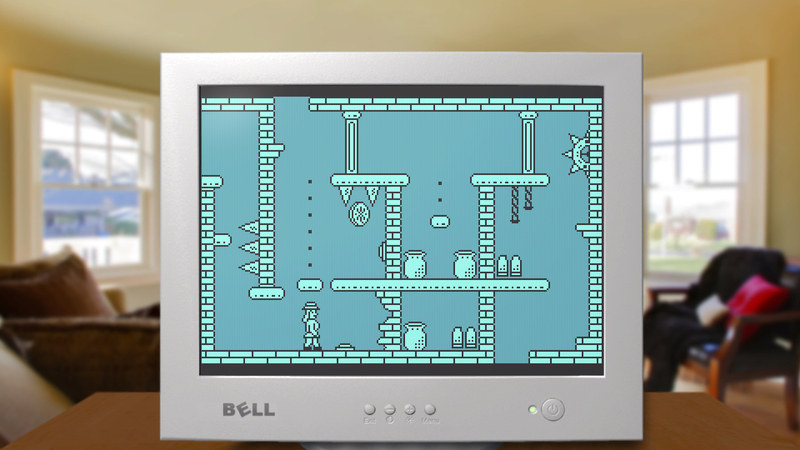 The Adventures of Elena Temple should run on most Windows computers that aren't on display in a museum, but if you have one that doesn't run it, you have my deepest sympathy. Just to be safe, you should have at least the below specs. But to be 100% safe, download the demo first and check if it runs ok before making any purchase. Please download and play the demo before making a purchase! I don't want to mislead anyone into spending money on the game. That's why I made this demo version, so you can try it and see for yourself if you like it and if it works properly on your machine. And only then buy the game, if you consider it's worth your money.